All too often, people underestimate the importance of protective eyewear, especially in industrial work environments where your eyes are susceptible to debris and other hazards. Having the proper safety glasses protects your eyes, allowing you to work more confidently in various work environments. 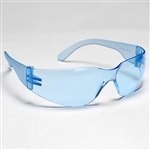 Industrial Safety Equipment offers a wide selection of clear and tinted safety glasses that should suit a range of needs. Our safety glasses are cost effective and can mean the difference between a stress-free day on the job or dealing with impaired vision. When you shop with us, you’ll find safety glasses from trusted industry brands like Global Vision, Cordova, Radians, Crossfire, and Elvex. 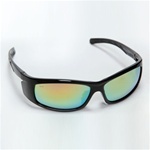 We even have Jackson safety glasses online in our store. Choose from a range of different frames and lenses to create the perfect fit for your workplace. Whether you’re looking for a basic pair of clear safety glasses or maybe your eyesight requires safety glasses with bifocals, you’ll find just the safety products you need at Industrial Safety Equipment. 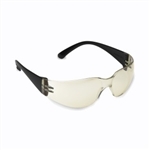 Cordova Bulldog Series Safety Glasses, Smoke Lens (EHB20S). Sold by the Dozen. 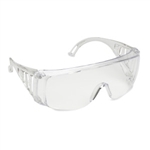 Cordova Bulldog Series Safety Glasses (EHF10S). Sold by the Dozen. Cordova Retriever Series Safety Glasses and Welder Glasses (EJB). Sold by the Dozen. 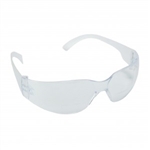 Cordova Boxer Series Safety Glasses (EKB). Sold by the Dozen. 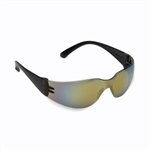 Cordova Bulldog Pro Framer Safety Glasses (EHF & EHB). Sold by the Dozen.